Caption slip reads:"Photographer: Miller. Date: 1951-08-30. Reporter: Lewis. Assignment: Wilde Twin Divorce. 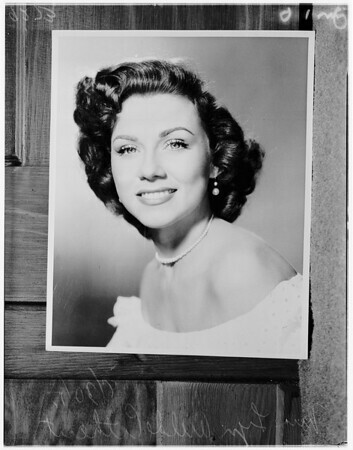 9-10: Copy of Mrs. Lyn Wilde Cathcart."